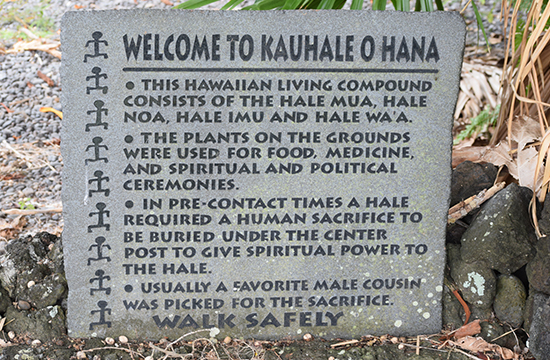 The Kauhale Village is a replica of a pre-contact chief's compound. It consists of living quarters built in traditional style with thatched roofs, including a cooking house, an open meeting house, and a canoe house, which each contain interpretive panels with related imagery. Its grand opening and traditional rite of housewarming were held in March of 1996 in conjunction with the popular East Maui Taro Festival. 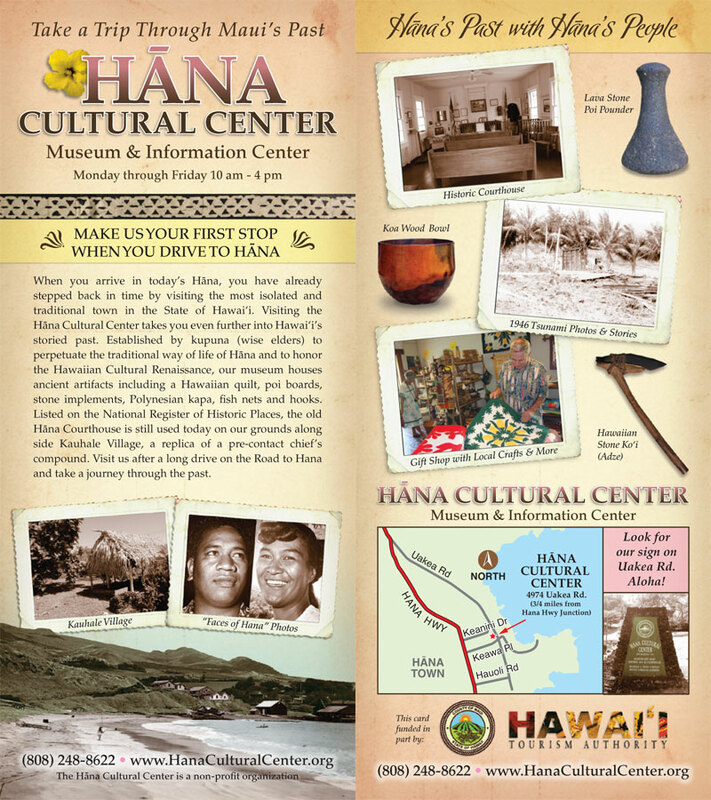 Years later, plans are being made to restore the village to ensure that the spiritual, emotional and cultural heart of Hana continues to be enjoyed and experienced by visitors of the museum.